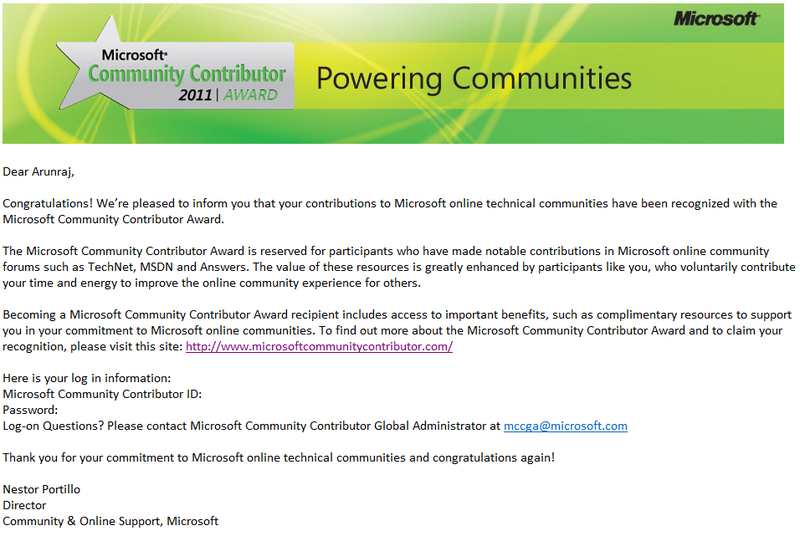 I am happy to share everyone that I have been awarded Microsoft Community Contributor Award for 2011. I am so proud that Microsoft has recognized my contribution to the community and I am really proud to be a member of SQL Server and SQL Azure community. Thanks to everyone for your continued support on this !!! Awesome news – congrats! i learn a lot from your blog posts and forum replies! Thanks! Thanks Paras for your continued support !!! COngratulation. Your contributions deserve it! Manage SQL Azure server using PowerShell How to create Co-Administrator for SQL Azure Server ?